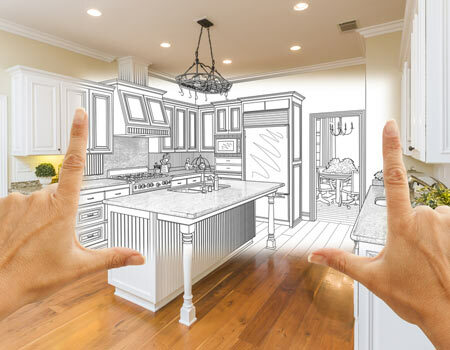 Turning your new kitchen dreams into a reality starts with a great plan. Our job is to make sure the plan reflects your personal style and taste while remaining affordable. Come in today for a FREE digital kitchen design! Walk-ins are always welcome but appointments are highly recommended during our extremely busy winter/spring months. We look forward to helping you create a design that's perfect for you! Make a rough sketch of the room, start in any corner then measure across the wall to the next corner. Note any doors or windows on the wall and write down how big they are and how far from the corner. Move to the next wall and repeat the process, make sure you locate all drains, gas supply and 220 elect plugs. Fax, E-Mail or bring your sketch to us to begin the layout process. Our professional designers will work with you to optimize the plan, getting you the most kitchen for your budget. 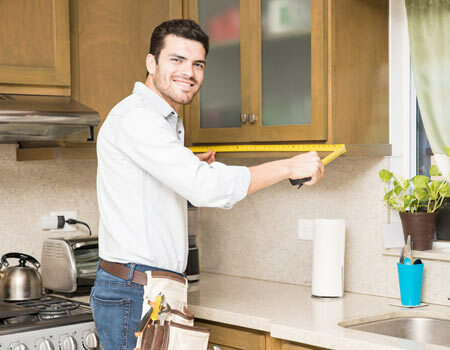 To help make the designing process go smoother, think about how you want your kitchen to look. What type of wood, door style, or color will be best for your home? Clip a few photo's from magazines of kitchen styles you like and bring them along. Remember, there's no charge for our design service so let's have some fun. 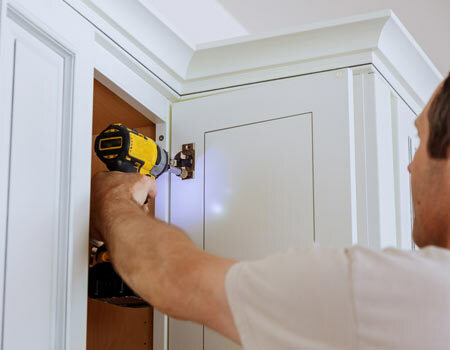 Need tips on how to install your cabinets? It's easier than you think. We have included some resources to help you through the installation.